I'm picky when it comes to YA reads, but particularly YA contemporary reads, because in my experience a lot of the time I find the characters themselves put me off the book. There are a number of reasons why I find certain characters off putting, but the big factor is the teenagers featured not feeling like true to life people, however that was definitely not the case with Extraordinary Means - the characters make this book! Lane and Sadie are both residents at Latham House, a sanatorium for those infected with TB. Now you may be thinking TB does now have treatable drugs, and you'd be right, but author Robyn Schneider has created a new strain of TB known as TDR-TB - total drug resistant tuberculosis. So whilst Extraordinary Means is, for the most part, contemporary fiction, there are minimal dystopian elements to the plot. Lane and Sadie are the narrators of the book, with alternating chapters telling their story of Latham House and how it affects them personally. Lane is the new guy at Latham house, and in comparison Sadie is a veteran of the facility. Despite not having seen each other for a number of years, the pair have history after one particular summer at camp and their story grows from there. If you've read the blurb of Extraordinary Means at all you'll know a love story is to ensue, with a relationship between Lane and Sadie developing. The relationship is not the be all and end all of the book but it does play an important part with a lot being learnt from it. The bond between the two characters is beautiful to watch unfold and the love between them feels very much like teenage love; it's fun and sweet and adorable to see. From that description you may be thinking it's that puppy dog, sugary sweet, teenage love that can be portrayed in YA stories, but Lane and Sadie's relationship is so much more than that. As well as the relationship between Lane and Sadie, we also see friendship between the two of them and three other residents of Latham House - Nick, Charlie and Marina. When arriving at the sanatorium Lane is instantly intrigued by Sadie and her bunch of friend's, eventually inserting himself in to the group. Extraordinary Means is full of adventures undertaken by this group of five friends whilst quarantined inside a medical facility. The laughs they have, the trouble they cause, the tears shed; you're along for the ride. There is a lot to admire about the narrative in Extraordinary Means but a big stand out for me is the wit entwined throughout. It's just wonderful and fitting and the teenagers own the sarcasm of their age. They also own being themselves... What I mean by that is even though they're in that awkward stage of life when you're just figuring out who you are, the characters aren't afraid to be themselves. Lane is the kind of guy who has everything mapped out, everything he does is a conscious means to being one step closer to his future. Lane is taking a detour though and he is definitely finding himself at Latham House. 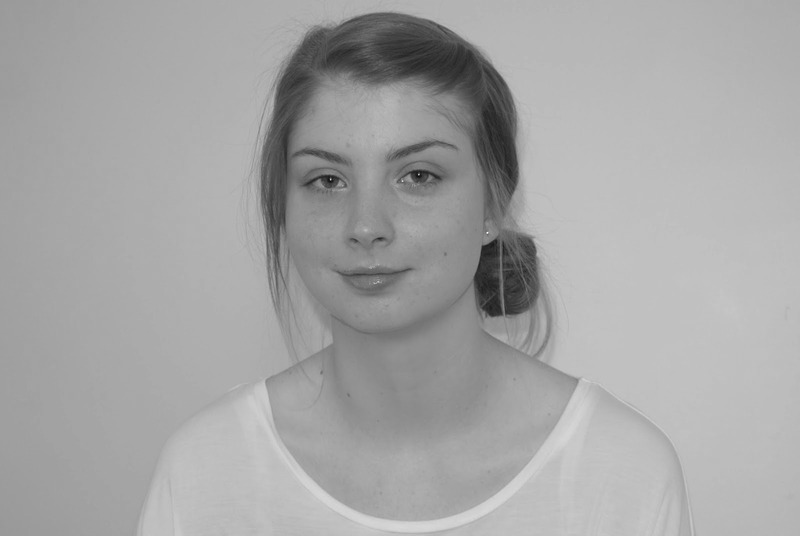 Sadie is the kind of girl you naturally gravitate towards, you notice her, she sets herself apart from others. Her personality is a favourite of mine from recent reads. Nick seems to be just coasting along in life while simultaneously blocking it out with alcohol or prescribed drugs. He also has a thing for Sadie. Charlie is a bit of a indie/hipster kid, skinny jean wearing, music making, you know the kind. He is also the sickest of the friends, with his TB being at a more advanced stage. Marina is the character out of the five who kind of fades in to the background. When you're reading the book she is there, she's quirky, she has her place within the friendship group, but when you step back from the book she is the one you'll remember the least as she doesn't have as prominent a part in the plot. What's amazing when reading Extraordinary Means is the attitude of these five children who are practically dying, they have an illness with no cure, and yet you forget that. Despite the seriousness of things tackled in the book, it feels light but with depth. This review is getting longer and longer, because there is so much I want to say about this book, but I'm going to end it on the author's note. 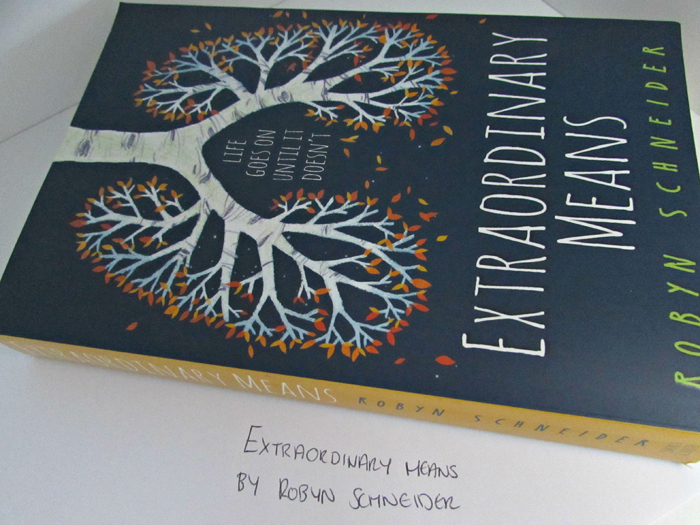 Often times in books there is an 'author's note' at the end, and we can easily just pass over it with the story being our main focus, but if you read Extraordinary Means then you have to read the author's note. Robyn Schneider gives a great little back story on how the book came about and evolved into its current state. I find that books with sick teens can sometimes be emotionally manipulative. I'm glad to hear Extraordinary Means doesn't suffer from that! I know what you mean, thankfully Extraordinary Means didn't fall in to that. They can be so hit and miss! I've read Extraordinary Means, and I agree with you - it wasn't about 'sick teenagers'; it was about finding yourself and your reason to live and making life choices and all that jazz. I personally loved Lane - his character arc was quite similar to my own - but Sadie... was kind of meh for me. I'm glad you enjoyed it! Yes - I loved that aspect of the book. I also really enjoyed how Lane evolved as a character too.